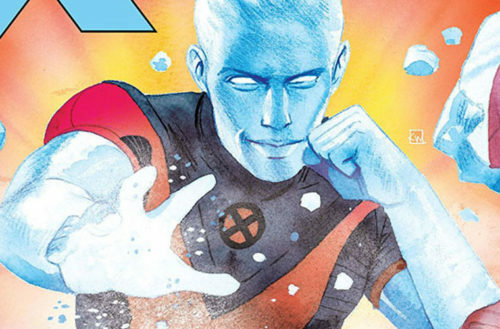 In April 2015, The X-Men’s Iceman (aka. Bobby Drake) came out as gay to his fellow X-Men. And today, he premiered for the first time as a self-identified gay man in his own self-titled comic. So what’s the ice queen up to? Let’s take a look, shall we? The comic literally starts with Drake filling out a profile on a gay dating site. In this world, Iceman has a time-displaced younger version of himself who is also openly gay and apparently more comfortable with dating men than Bobby is. As he sees the younger version of himself walk off with a date, Bobby finds out that his father is in the hospital and he races off. At the hospital, his mom asks “Do you have any new girlfriends?” and we quickly realize that Bobby hasn’t come out to his parents yet. 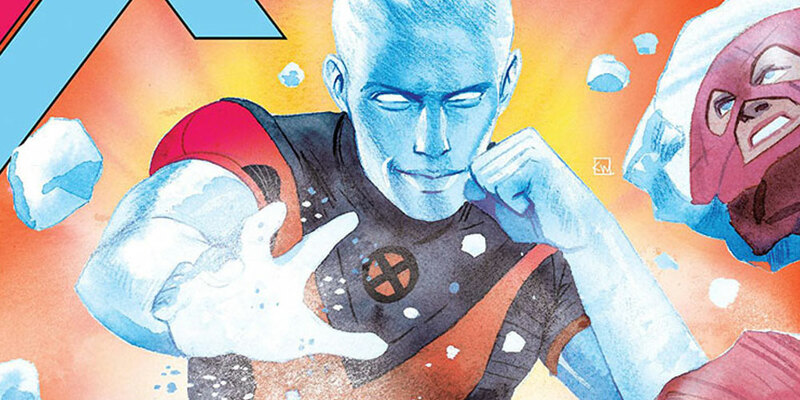 Looks like Iceman won’t just be battling Magneto’s rogue mutants, but also his own inner demons. Nice. Soon, a purifier (that is, a none-too-subtle, cross-wearing vigilante who hunts down mutant “abominations”) runs into the hospital hallway chasing a young mutant woman who was exhibiting her powers in public. It’s here that we’re reminded the thing all queer X-Men fans have always known about the series: the mutants — hunted, misunderstood and feared — are metaphors for LGBTQ people and all sorts of marginalized outsiders. It’s up to us to protect one another and help us foster our special gifts. Subtle as a snowball to the face, but this is comic book after all, and the heavy-handed writing will make sure that younger readers don’t miss the message of religious persecution.